We stayed the final three nights of our Hawaii trip at the Outrigger Waikiki, an iconic Waikiki hotel. It was family owned for many years and that may explain the Aloha spirit that welcomed us from the moment we arrived. The valet (which is, by the way, the quickest valet service ever, like two minutes max every morning!) swiftly took care of our car and we were greeted with a tray of fresh, local juice, moist towels and big smiles from everyone at the reception. 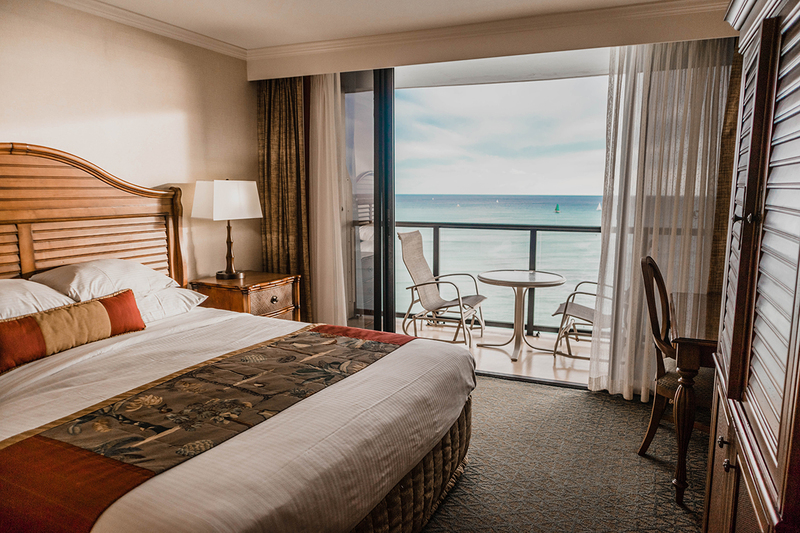 Our room was just spectacular, offering ocean views from the entire room, with a large balcony overlooking Waikiki beach. We kept the sliding doors open most days to enjoy the cool ocean breeze and the sound from the surf below us. 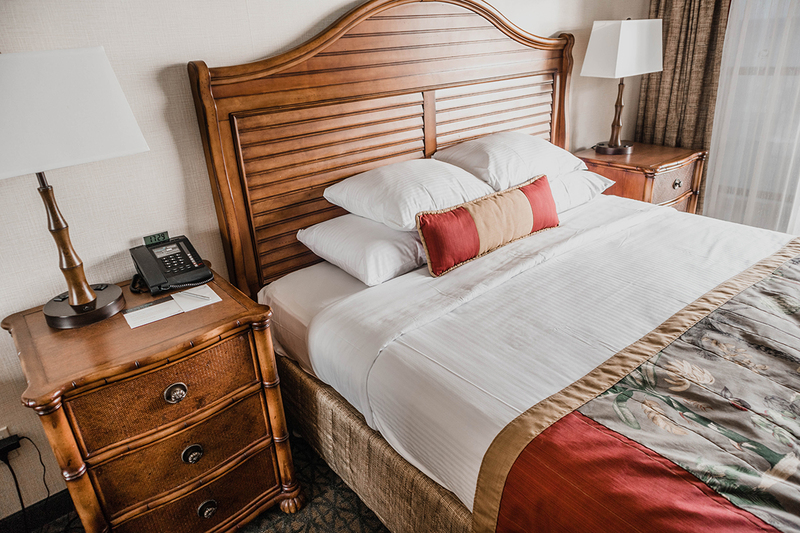 The bed was very comfortable and the room offered all the amenities we could have asked for, with nice touches like local Hawaiian coffee for the coffee machine. The highlight was undoubtedly the huge jacuzzi in the middle of the room, from which we could see the waves crashing and the surfers riding them! Waking up every morning with a view of Diamond Head was something I will never forget. 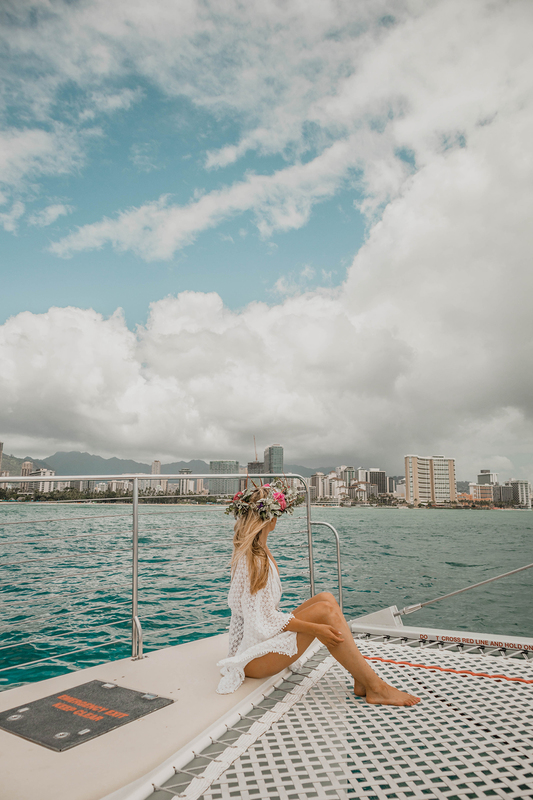 I didn’t know that all Outrigger hotels are oceanfront properties, not just in Hawaii but also in other exotic locations like Fiji, the Maldives and Mauritius. 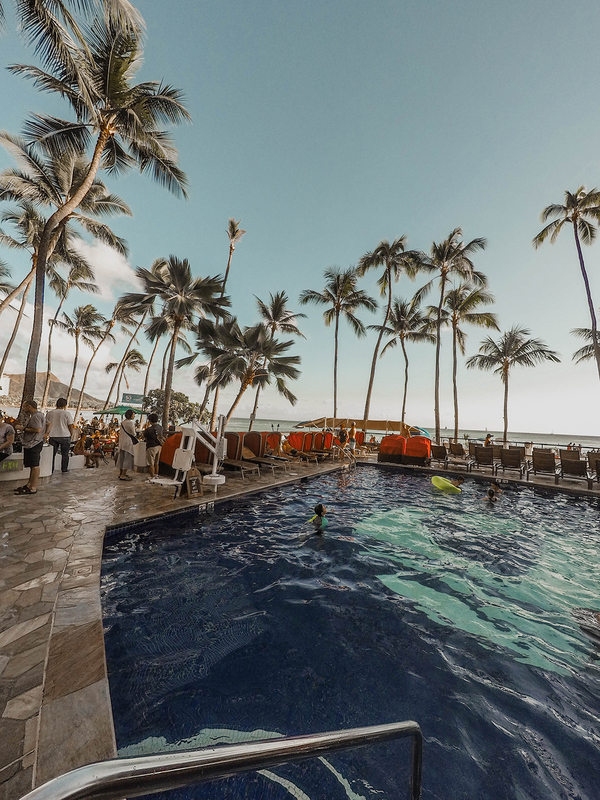 In this hotel, I really enjoyed that we were right on the beach which gives the Outrigger Waikiki a real resort-style atmosphere, with lounge chairs at the pool and on the white sandy beach. I also liked the central Waikiki location near all the stores and restaurants. The Royal Hawaiian Center is right next door, with many great restaurants and upscale stores. 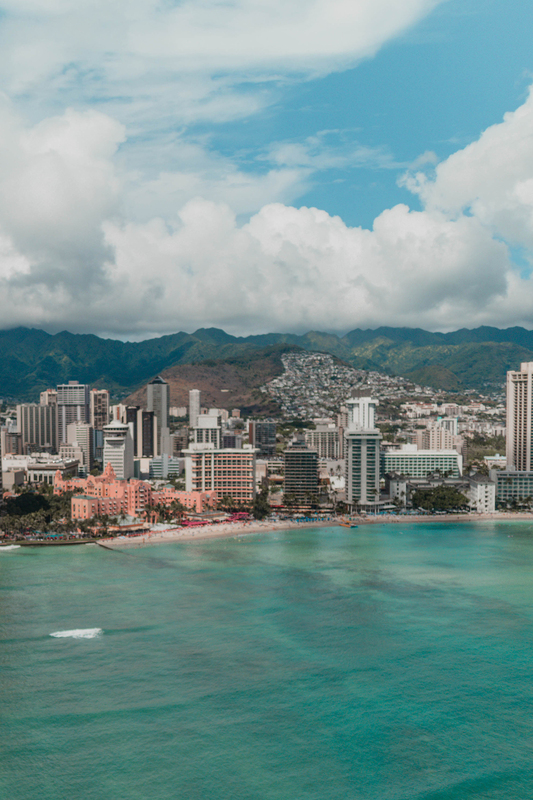 Just across the street is the Waikiki International Marketplace, with another wide range of restaurants and shopping options. I’ll be the first to admit that I’m not usually the biggest water person. I tend to love looking at the ocean or float above it, instead of swimming or diving in it. But at the Outrigger Waikiki, I just couldn’t resist riding along on an outrigger canoe with Faith Surf School. We caught a few waves, guided by the expert crew, and rode them for hundreds of yards. It is an exhilarating feeling, so if you ever get to Waikiki make sure to ride with them. 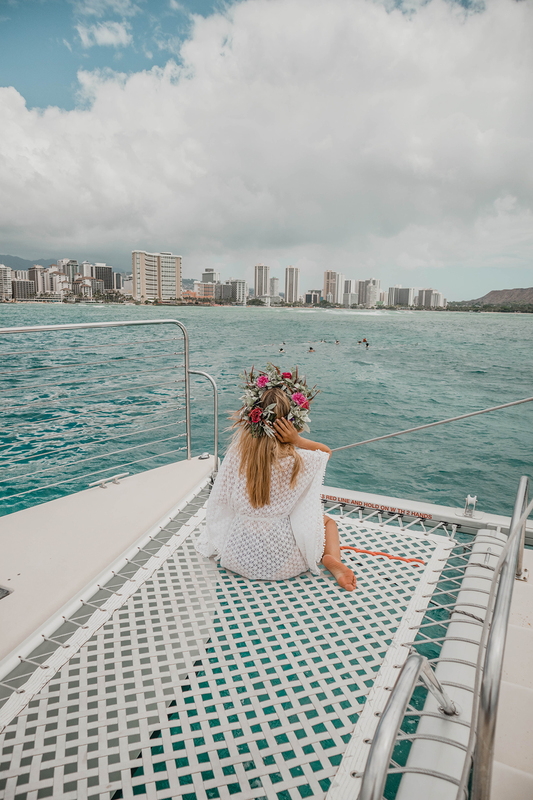 We also really enjoyed the Turtle Canyon Adventure Sail with Sail Holokai. It turns out that just a few minutes offshore from Waikiki, there is an underwater canyon where huge turtles like to hang out and swim with you. The team from Hawaii Camera was nice enough to lend us a GoPro, so we were even able to take some underwater shots of me meeting these friendly creatures. We also sailed along the south shore and at one point a group of dolphins swam alongside us for a while! Again, when you’re in Waikiki these are the kind of unique experiences that really make it a trip to remember forever. 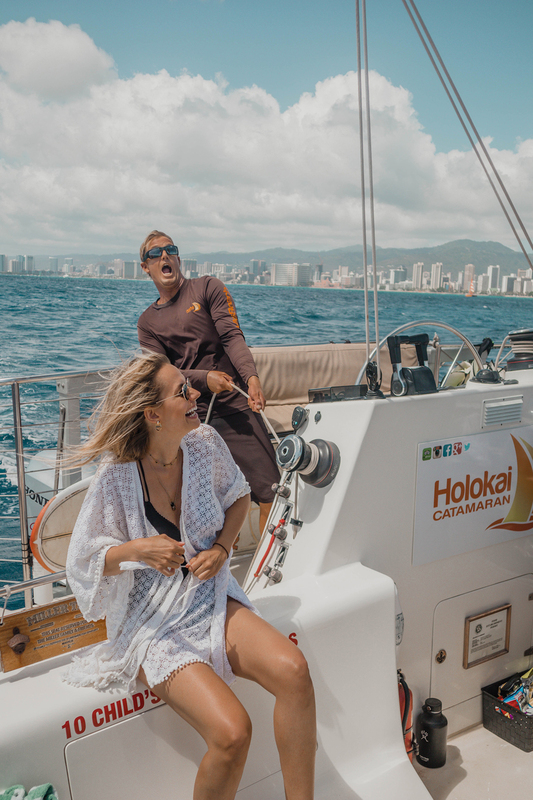 You can’t go wrong with the expert sailors and guides from Holokai Catamaran, who went to great lengths to point out all the fishes, turtles and dolphins to us. 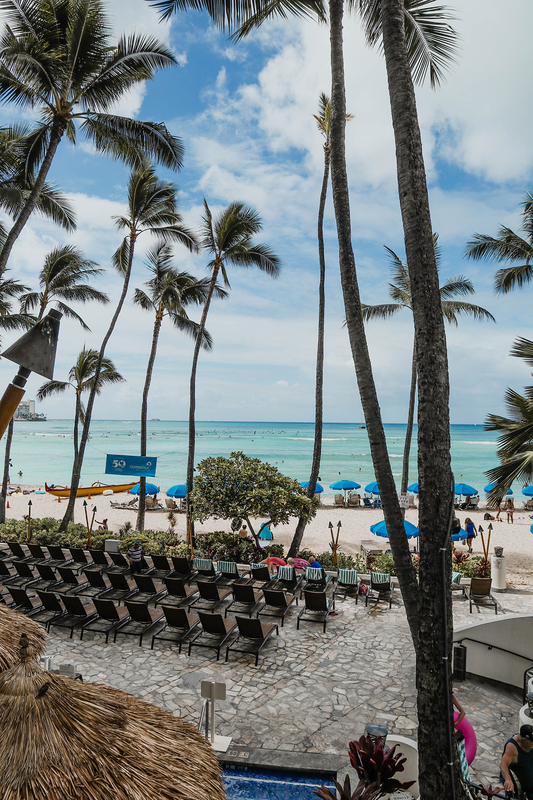 The Outrigger Waikiki has several restaurants, with famous Duke’s as the marquee beachfront property. 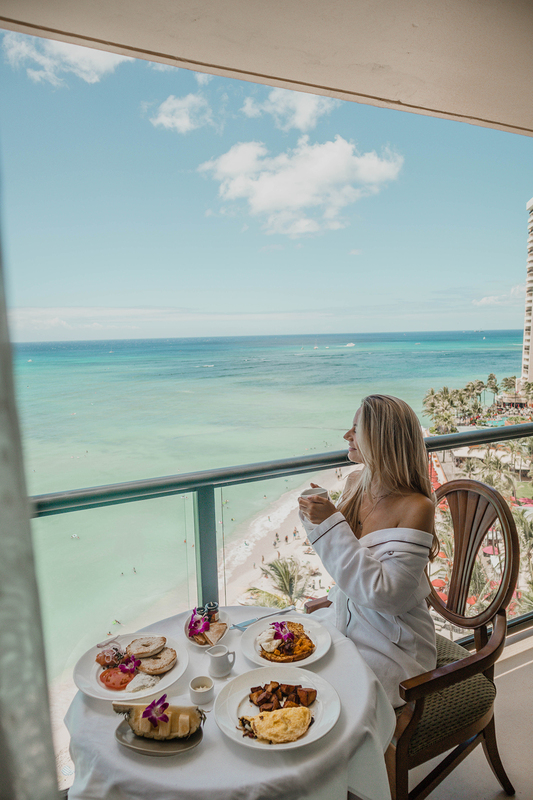 Just a floor higher is The Hula Grill, which overlooks Waikiki Beach and I highly recommend for a great breakfast or a sunset cocktail. 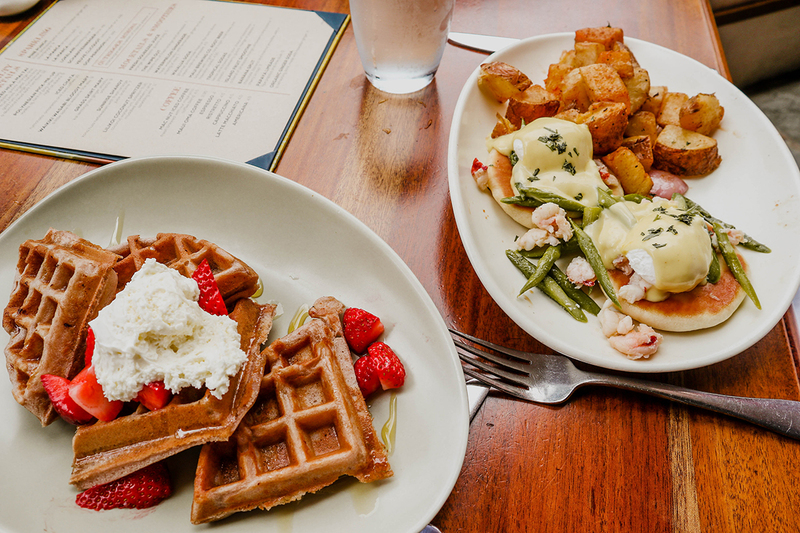 We tried the Acai Bowl, the Mochi Waffles and the Kalua Pork Eggs Benedict and loved them all. 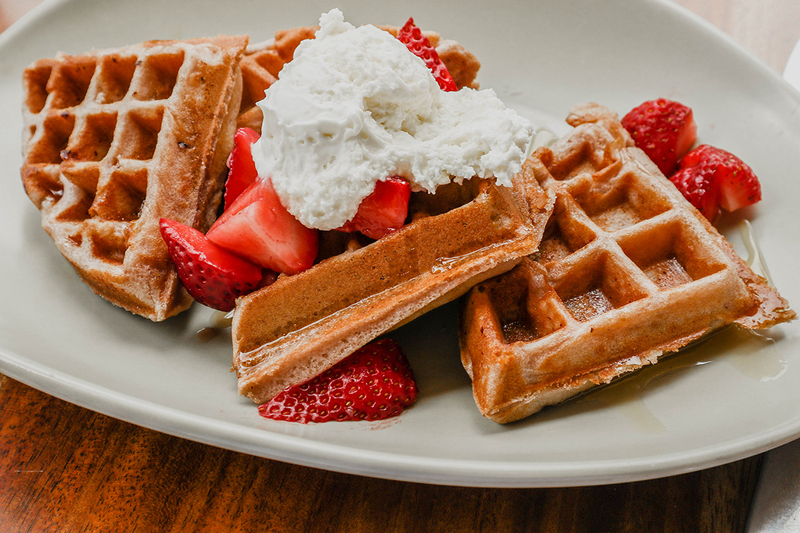 We also ordered a great in room breakfast one morning and starting the day in our bathrobes on the balcony, was truly amazing as well. The Outrigger Waikiki offers another experience that I haven’t often seen at other hotels in tropical destinations: quality entertainment. 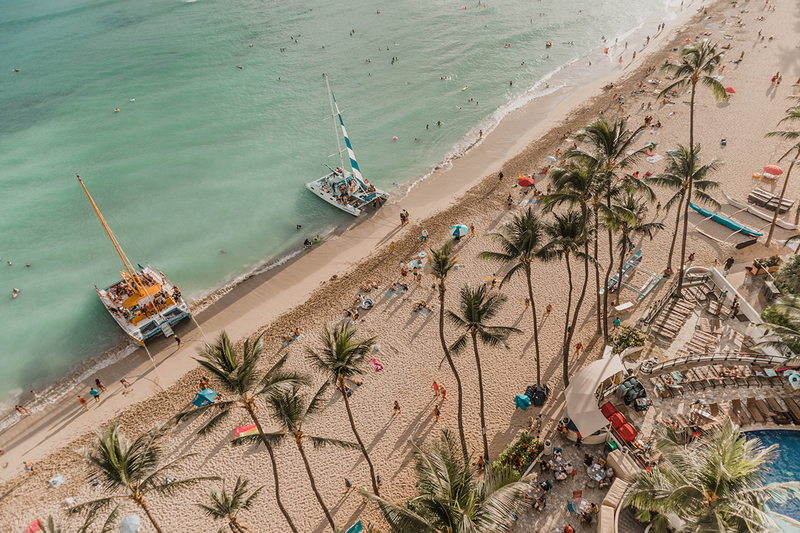 There are great local bands performing Hawaiian music and reggae at Duke’s in the afternoon and artists and comedians at the Blue Note in the evening. We caught a very funny show by comedian Tom Green, who also had a hilarious local comedian opening for him. 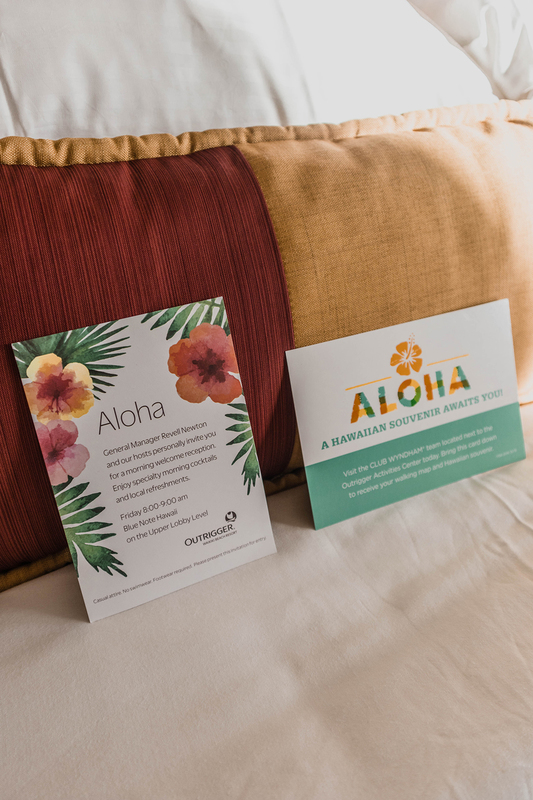 So definitely stop check out the entertainment options when you’re at the Outrigger Waikiki, also because hotel guests can enjoy discounts. 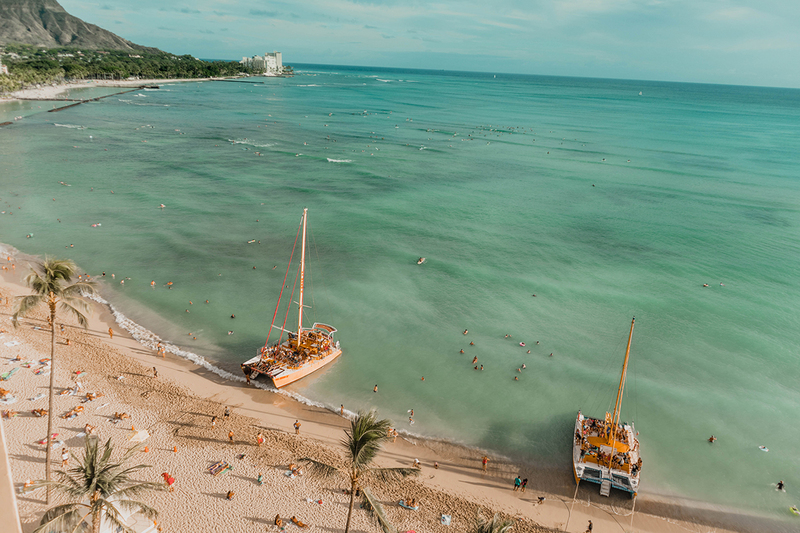 All in all, the Outrigger Waikiki is a perfect destination if you’re looking for a true tropical beach vacation. 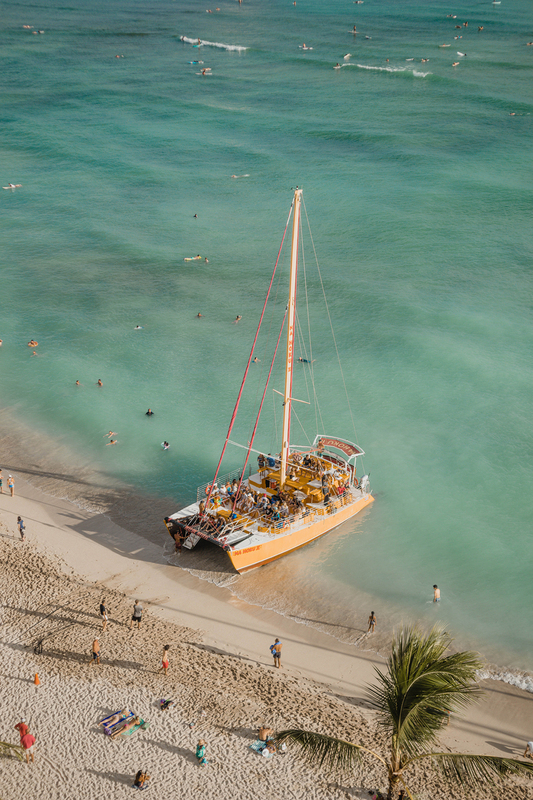 From the rooms and the restaurants to the entertainment and watersport activities, it’s all there and it’s all top quality, with many local Hawaiian people that give the Outrigger Waikiki the true Aloha spirit! 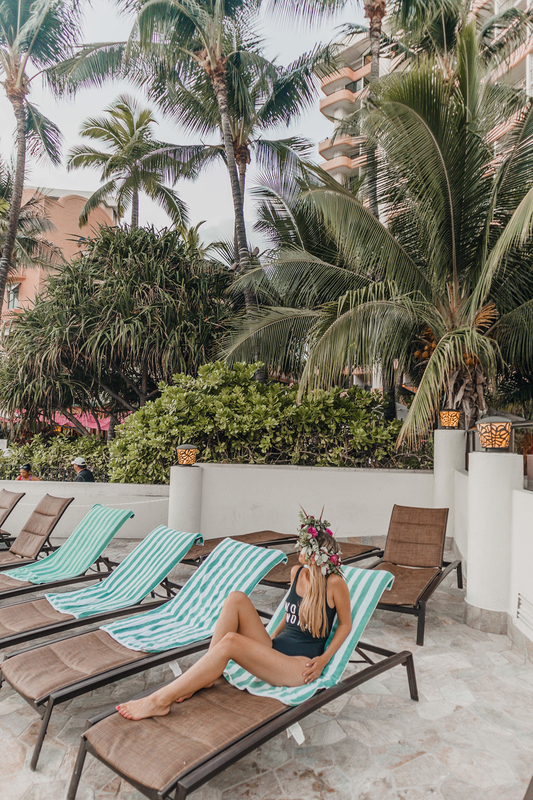 Posted in TravelTagged blogger, hawaii, Hotel review, Outrigger Waikiki, Waikiki BeachBookmark the permalink. This post is amazing and this photos are gorgeous! So in love with your photos!! Looks amazing! This looks so amazing. the best is the flower crown. What a truly stunning location! Love the hotel, the destination AND the flower crown! Ah wow this looks gorgeous! Oh my gosh, your blog is always such a visual treat! 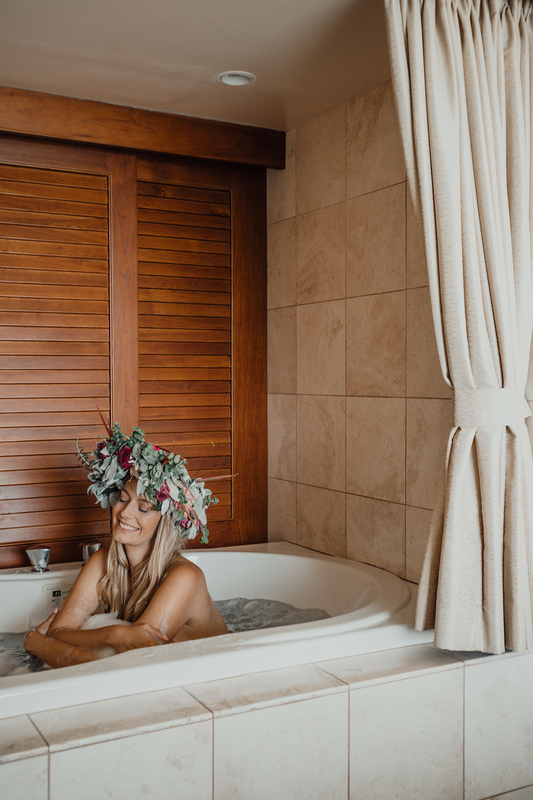 Your beachwear wardrobe is flawless, and YES to the shots of you in the bubble bath wearing a flower crown – so extra, love it!! These pictures are so beautiful! I can’t wait to go to Hawaii one day! You had the best balcony view! What a great stay! Wonderful pics as always! this place looks like paradise! Your photos always make me want to take a vacation 🙂 This resort is really good from the room to the fun activities you can do easily. Love your verandah shots!